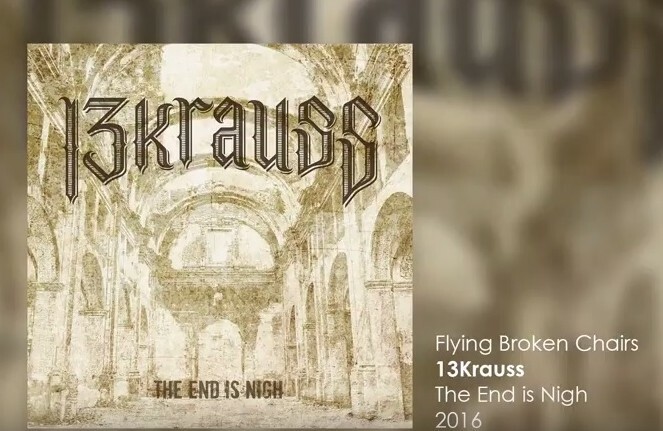 2016-06-12 VIDEO – 13KRAUSS "Flying Broken Chairs"
Video for “Flying Broken Chairs“, off 13Krauss second album, “The End is Nigh“. Produced by STK Audiovisual. Recorded iat Sala López during the third edition of St Patrick’s Festival Zaragoza. 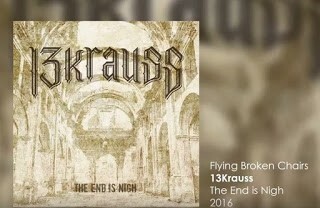 2017-04-23 VIDEOS – CELTAS CORTOS AND FLOGGING MOLLY 2017-04-17 VIDEOS – 13KRAUSS, CELTAS CORTOS, BEYOND THE FIELDS 2017-03-25 VIDEOS – BRUTUS’ DAUGHTERS, THE FOLKESTRA, CAROTTÉ 201-10-06 VIDEO – MICKEY RICKSHAW "Rats in Allston" 2016-08-26 VIDEO – SMZB "The Song of the Seagull" 2016-08-16 VIDEO – SIGELPA "L’infern està pujant" 2016-06-14 VIDEO – LÁD CÚIG "El Cel dels Herois" 2016-05-17 VIDEO – SMZB "Ten Thousand Ways to Rebel"